Born along with twin brother Larry on Christmas Day 1934, Gerry Griffin graduated from his beloved Texas A&M in 1956. Although his eyesight was deemed not quite sufficient to be a pilot in the United States Air Force, he did the next best thing and trained as a navigator and radar intercept officer on the F-89 Scorpion and F-101 Voodoo fighter aircraft. He joined NASA in 1964, and served initially as a Guidance, Navigation and Control (GNC) officer responsible for overseeing those areas in the Gemini spacecraft. He was named a Flight Director in 1968. He served his first shift as lead Flight Director during the launch of Apollo 12, and was on the brink of calling an abort after the Saturn V launch vehicle was struck by lightning. 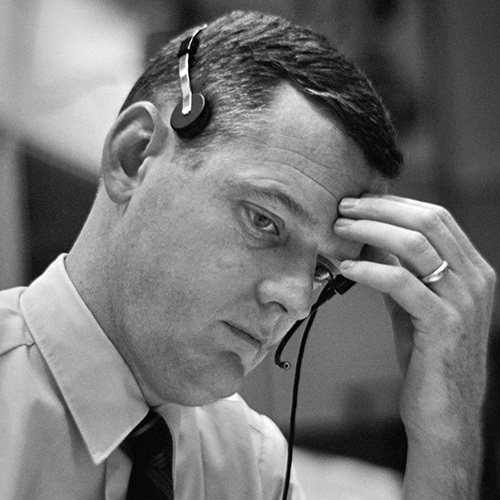 With three Apollo lunar landing phases to his credit, Griffin was the only Flight Director to work more than one. 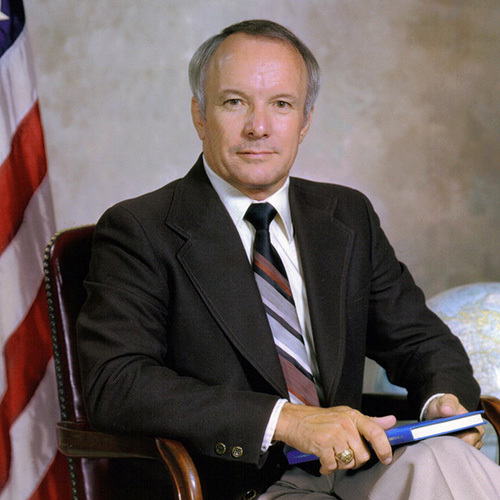 He later became the third director of Johnson Space Center, after Bob Gilruth and Gerry’s own mentor, Chris Kraft. Along with Jerry Bostick, Griffin also worked as a technical consultant on the acclaimed movie Apollo 13. Ginger Kerrick is one of the modern Flight Directors in our movie. She is also the first Hispanic female NASA Flight Director. There is no greater a legend in Mission Control than Chris Kraft, for it was Kraft who invented the very concept. Kraft served as Flight Director during the Mercury program, America’s first attempt to send human beings into the unknowns of space. After being overruled on an issue during John Glenn’s Mercury flight, Kraft demanded that such a thing never again take place. Afterward, the Flight Director would have ultimate authority over a mission. Kraft moved to a management role at NASA during the Gemini era, but still exercised control over much that went on in Mission Control. So powerful was Kraft, he has been called “The Godfather” of Mission Control. In 1972, Kraft became the second director of what was then known as the Manned Spacecraft Center in Houston. He stepped down at the end of 1982. 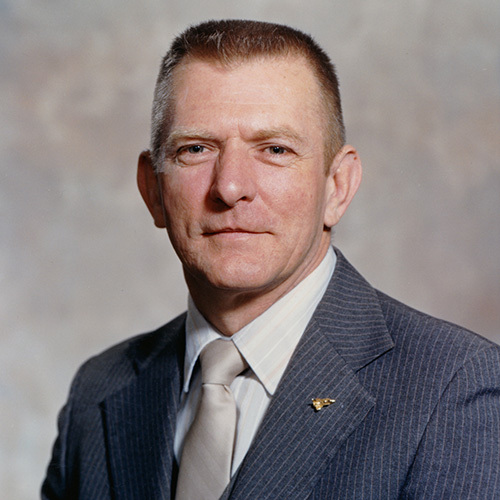 One of NASA’s first four Flight Directors, Kranz began his career in the Mercury Control Center as an understudy to Chris Kraft. He was known for his regulation military crew cut, a carryover from the time he spent in the United States Air Force as a fighter pilot. That was easy enough to spot, and so were the vests fashioned for him by his wife, Marta, for each mission he worked. He was the Flight Director in charge when Apollo 11 landed on the moon on July 20, 1969, and when the Apollo 13 oxygen tank explosion occurred. He remained with NASA following the Apollo program, and served as Director of Mission Operations during the Space Shuttle era. A part of NASA almost from Day One, Glynn Lunney first served as a Flight Dynamics officer (FIDO) during the Mercury program. 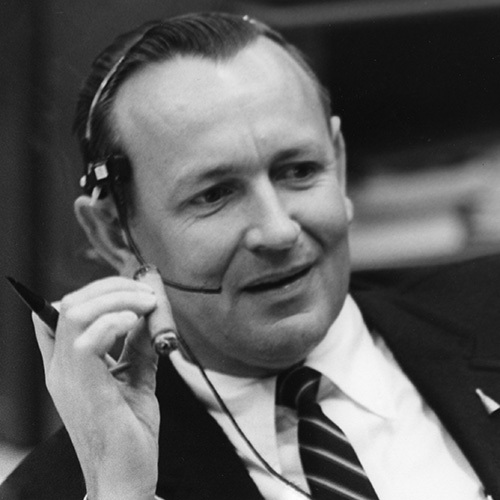 Named one of NASA’s first four Flight Directors in September 1964, Lunney would become one of the most respected figures in American spaceflight due in no small part to his calm demeanor and problem-solving skills. It was Lunney who took over as Flight Director about an hour after an oxygen tank explosion wreaked havoc on the flight of Apollo 13. Others would later marvel at the order Lunney seemed to restore to Mission Control, as the mission’s problems began to be sorted out. Lunney’s last mission as Flight Director was Apollo 15, after which he became program manager for the Apollo-Soyuz Test Project. He retired from NASA in 1985 to begin work at Rockwell International, and when that company merged with Lockheed Martin a decade later, he became a vice president and program manager for the new United Space Alliance. Bryan Lunney, the youngest of Glynn’s four children with wife Marilyn, became the first second-generation Flight Director when he was selected to the position in 2001. Courtenay is one of the modern NASA flight directors in our movie. From Winchester, Mass., she earned a bachelor’s in aerospace engineering from Pennsylvania State University in 1992. She began her career as a software engineer at Loral Advanced Distributed Simulation in Cambridge, Mass. She started work at NASA in 1996 as an Attitude Determination and Control Officer (ADCO) for the space station. In 2001 she was stationed in Moscow for two years as an Avionics Integration Engineer with the ISS Program. 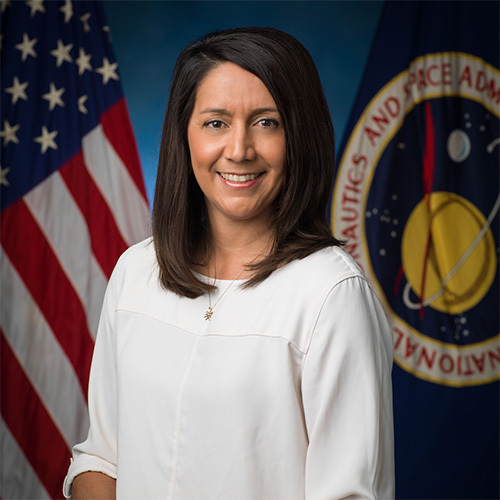 She returned to Houston, serving as the lead for the Station Systems Integration Office in the Systems Division of the Mission Operations Directorate at JSC. 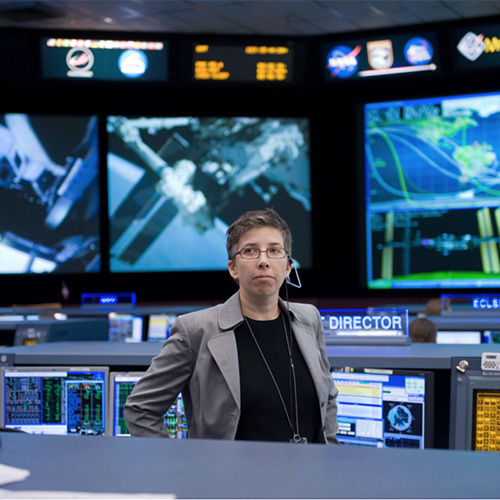 She became one of the elite group of NASA Flight Directors in October 2007. [Source: NASA].